Weight: 4.1kg We understands the inventive mind and the thrill of creating something all your own. That is why we are proud to present the 24 volt 350 watt MY1016Z3 gear reduction motor complete with a 9 tooth 1/8" bicycle chain sprocket. This motor is great for those wanting to make their own custom electric vehicle, whether it's a scooter, electric bicycle or something the world isn't even ready for. 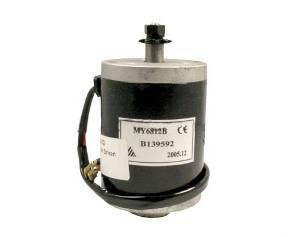 This electric motor with gear reduction produces more low-end torque than your standard motor. 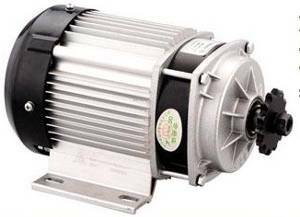 Note: This motor is capable of rotation in either the clockwise or counterclockwise direction by reversing the motor's power wires. 36 volt 600 watt MY1020Z gear reduction electric motor with mounting bracket and a 10 tooth #40 chain sprocket (MY1020Z). 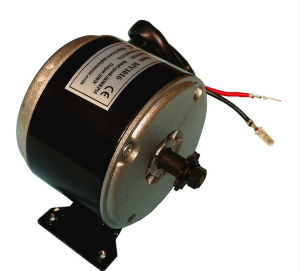 This fine motor with gear reduction might be the perfect little dynamo of power for your next garage project or custom build. The #40 size chain sprocket is often found on go-karts, as well as on some lawn & garden applications. 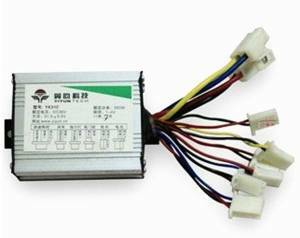 Available for 250W, 350W, 500W and 600W motor. Wire length: approx. 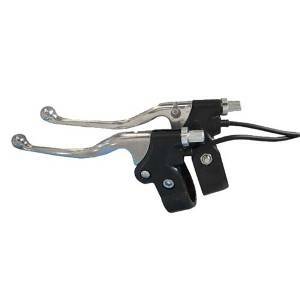 143cm/ 56.2"
This plastic ignition key switch features a 2 pin male connector (white) and includes 2 keys. Applicable for MY1016 controllers. Wire length is 27cm, 32.5cm total length and plug is 11mm x 6mm.